Our visit to Jersey gave me an opportunity to add to my castle series. Grosnez Castle was built in the 14th century. 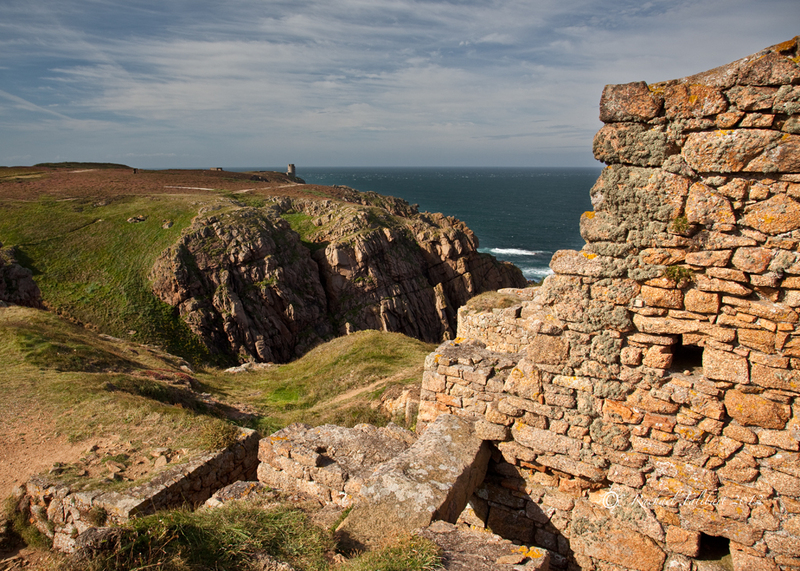 Little remains of the castle but it makes a very atmospheric ruin, perched atop the headland at the Northwest corner of the island. 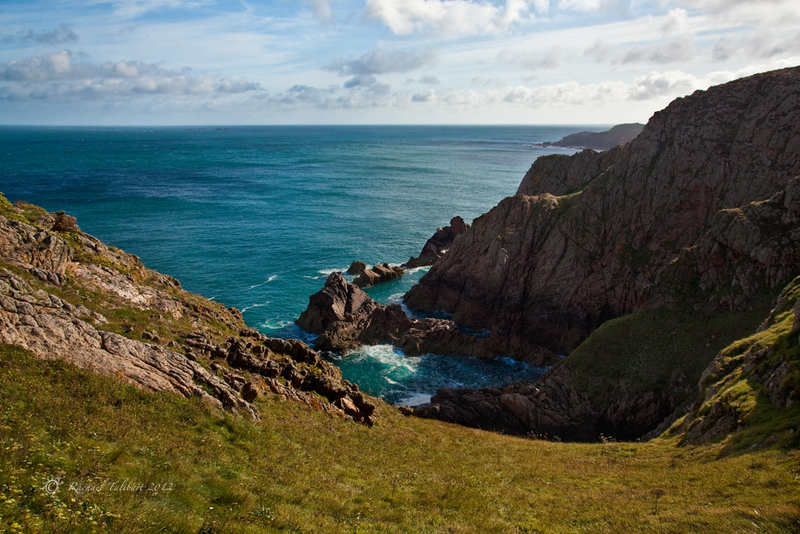 ‘Grosnez’ comes from the old Norse, grar nes, meaning ‘grey headland’, rather than the French for ‘big nose’. According to an interpretation board at the site, the castle was probably built in around 1330. It was taken by the French in 1373 and 1381 and was likely demolished during or shortly after the French occupation of 1461-8. The castle certainly has a commanding view of the Jersey coast. Just along the headland stands another martial construction taking advantage of those views, a German WW2 range-finder tower, part of Hitler’s ‘Atlantic Wall’. 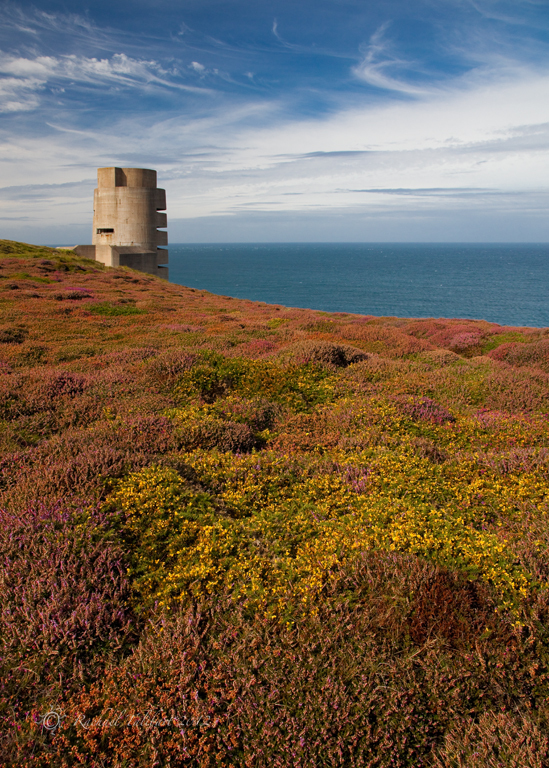 It is a strangely forbidding construction, a stark contrast to the tapestry of heather and wildflowers at its base. 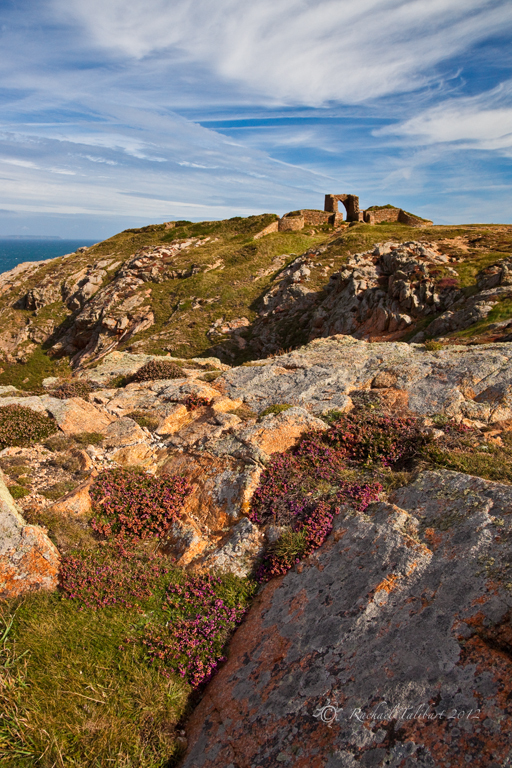 The two structures together are a reminder of Jersey’s history of occupation, straddling some of her most beautiful landscape. This entry was posted in history, photography, travel, Uncategorized and tagged castle, Channel Islands, Grosnez Castle, Jersey, landscape, photographs, photography, pictures, travel, WW2 observation tower by Rachael. Bookmark the permalink. This is funny… almost embarrassing. At first (back at your initial posts on Jersey), I assumed you were referring to Jersey Shores here on our New Jersey. Don’t know just when it dawned on me I was way off and finally googled to discover you were on one of the Channel Islands in the English Channel. What a gorgeous and lovely spot that is, with what sounds like a bit of an unfortunate history. You were blessed with outstanding weather! Great day to capture some beautiful subjects. I did think big nose first! I love these shots and have to visit these islands at some point! I’ve never been to Jersey and had no idea it was so rugged. You could imagine this place being in Cornwall. 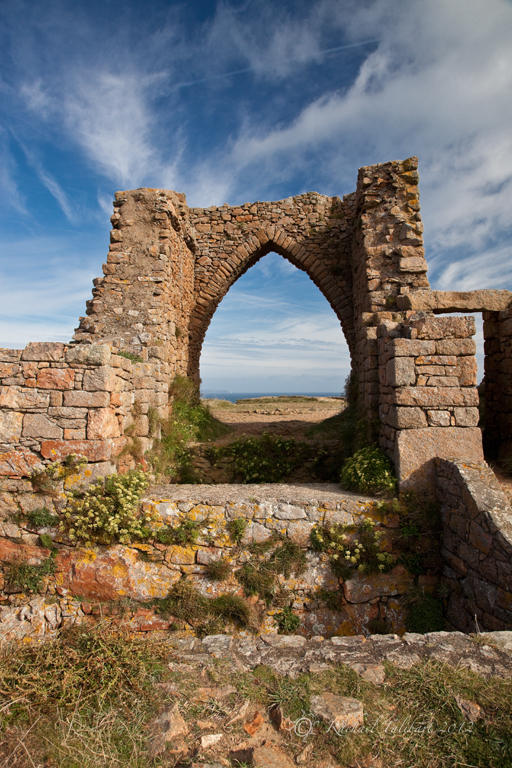 Jersey has a fascinating history.. enteresting post Rachael. Beautiful colours. The blues in the sky and the reds and oranges just look amazing! Yes, beautiful colours, Rachael. That German tower is a striking piece of architecture. Is it possible to go inside?